If you are planning to start or expand your business in Las Vegas, Nevada you need an experienced and knowledgeable business law attorney who can give you the legal advice necessary to help ensure the success of your business and your legal issues. She handles a variety of business needs and issues from business formation, contract drafting and review, management issues, to complex business litigation. You do not have to be a large business to retain the services of Wendy Kazel. She understands that small business need to have a business law attorney they can trust and afford. Wendy Kazel, M.B.A, J.D., can assist businesses navigate the complex area of business law. She is licensed in Nevada and the District of Colombia. Wendy Kazel, is well prepared to handle your businesses legal issues. Wendy Kazel, M.B.A, J.D., has been a member of corporate America for many years and has run international companies and understands what business owners go through. She has the education, the in-depth knowledge of business, as well as hands on business experience. Ms. Kazel provides a realistic approach to client’s business issues. If you are looking for a Child Custody Lawyer in Las, Vegas, Nevada, then the Law Office of Wendy Kazel welcomes you as she is dedicated to fully helping Nevada’s mothers and fathers who are going through child custody issues. She is reputable member of the State Bar of Nevada business law, family law, probate and trust, sections. She also holds Nevada Trial Lawyers Association’s membership. Wendy Kazel, M.B.A, J.D., believes that when parents decide to separate or divorce, it becomes important to make the necessary decisions that have a significant impact upon their children. The Law Office of Wendy Kazel is thoroughly familiar with Nevada laws regarding divorce and child custody. With over seven years of knowledge and experience, Wendy Kazel, M.B.A., J.D., has successfully represented her clients on issues related to divorce and child custody cases. 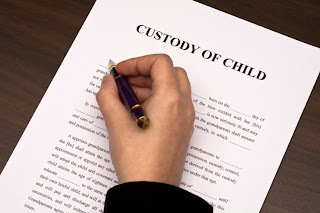 Child custody and divorce cases are charged with high emotions and situations can become very combative however, Wendy Kazel maintains a cool and calm atmosphere helping her clients through this difficult time and offers them the best possible representation. She firmly believes in carefully reviewing each case with her client and looks for the strengths and weakness of the case. The excellent advice offered by Wendy Kazel helps in making your legal matter resolve as quickly as possible and being a strong advocate for your case. If you are facing any issue regarding filing a divorce, child custody or other family law issues, contact Attorney Kazel. She is capable of handling your case, be it contested or uncontested. Wendy Kazel, M.B.A., J.D. is a professional and experienced lawyer who is committed to helping the Las Vegas community. She is a profound advocate for her clients and she contributes her brilliant knowledge of the law and her problem solving skills to numerous types of cases. Ms. Kazel has a general law practice that includes Business and Corporate Law, Family Law and Estate Planning. 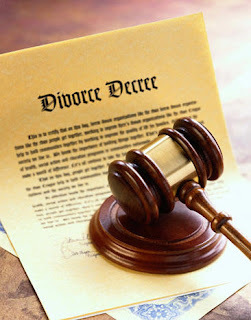 Divorce is an issue that is included under family law. 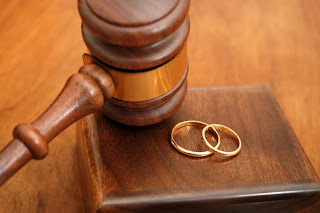 A divorce can be simple or complex depending on the case. Getting divorced is stressful and each divorce has its own unique situation. Divorce does not need to be combative causing a further split within the family unit. 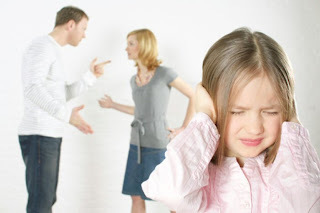 It is possible to have a divorce that is amicable causing the least disruption to the children and allows the parties to move forward without the bitterness that a contested divorce can cause. Many divorces involve issues of child custody and support. It is important to understand your options when it comes to child custody. You need to consult a highly skilled attorney who will be your advocate, who can sort out your options and fully explain them to you. Wendy Kazel, M.B.A, J.D., is a divorce lawyer who has devoted her time in handling divorce cases and helps her clients find an effective solution. She strives to resolve your case in an efficient and cost effective way. Ms. Wendy Kazel has efficiently solved a number of divorce cases from simple to complex involving property issues, child support and child custody and spousal support. Attorney Kazel understands that going through a divorce is a difficult time for her clients and she helps her clients obtain a divorce so that they can move on with their life and have the peace of mind knowing that she is a strong advocate for them and gives them the understanding of the divorce process so that they are informed every step of the way. Cases that are related to family matters come under family law. Some of the categories that are listed under family law include; divorce, spousal support or alimony, paternity, child support, child custody, asset division, domestic partnership agreements, pre-nuptial agreements and guardianship. As far as family issues are concerned, you need to hire an experienced lawyer, who can handle your case in an efficient and smooth manner. Wendy Kazel, M.B.A., J.D., is an attorney that recognizes that client’s legal needs are unique and she has a proactive approach in resolving family law issues. Wendy Kazel, M.B.A., J.D., is an experienced Attorney and Counselor at Law. Her law practice offers legal services to clients related to business or corporate law, family law, and estate planning. 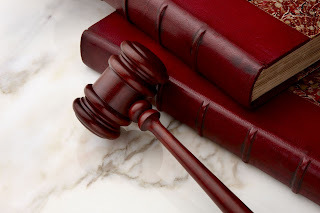 She has successfully represented clients in many divorce and child custody cases. Attorney Kazel is a strong and competent lawyer who works to protect the rights and interests of clients at all times. Ms. Kazel understands that divorce and child custody cases are emotionally attached cases, so she handles it in a cool and calm manner. She is dedicated to handling all her cases with the highest ethical standards, sensitivity, competence, care and professionalism. Ms. Kazel’s expertise helps to facilitate an outcome for her clients that maintain peace and harmony in domestic issues. Ms. Kazel delivers legal services with professionalism and personal attention to her clients desired outcome. For the smooth management of your business, you need a business expert who answers your question and helps you to run your business in an efficient way. Business and Corporate Law include transactional services, business entity formation, business litigation, contract review and drafting and business negotiations. 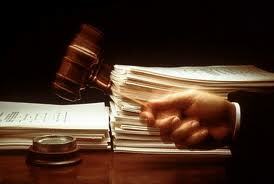 A good business attorney assists you with many legal tasks and negotiations when needed. Wendy Kazel, M.B.A., J.D. has the experience needed in business and corporate law and can easily handle business issues ranging from simple to complex. Her years of experience allow her clients to be proactive and act on potential problems before they become more costly. She handles a variety of transactional and litigation issues that include business agreements, entity formation, structuring of the business organization, issues related to management and sales of businesses. Wendy Kazel handles issues related to finance, mergers, employment/labor law, litigation, contract drafting and review, and negotiations. She is fully dedicated in her field and runs her own law office that offers legal services for business and corporate law. She adopts a realistic approach in order to grow and flourish their client’s business in a positive way. Attorney Wendy Kazel, through her knowledge of the law and her experience in handling complex situations allows her clients to be at ease. For your business legal needs, just contact Miss Wendy Kazel, M.B.A, J.D. She will suggest the best possible solution for your situation to keep the costs down and resolve your matter as quickly as possible. Helping others and giving back to the Las Vegas community, is the commitment by Attorney Wendy Kazel, M.B.A., J.D. Her Strategies: - Attorney Wendy Kazel, M.B.A., J.D. makes every attempt to settle issues and find a workable solution through different means such as negotiations, arbitration or mediation. When resolving a case amicably is not possible she is a strong litigator and advocate for her clients and has the skill and expertise needed go to trial. Her Practice Areas: - Include; Family Law, Business Law and Estate Planning. Estate Planning includes; Wills, Trusts, Powers of Attorney, health Care Directives, Living Wills and Probate. Family Law includes; divorce, alimony, spousal support, child custody, child support and guardianship. Business and Corporate Law include; transactional services, business entity formation, business litigation, contract review and drafting. She has her own firm and is an esteemed member of the legal community. Her Achievements: - Born in Connecticut, Wendy Kazel went to law school at Thomas M. Cooley Law School in Michigan. She has a Bachelors of Science in Business and Marketing Management, Masters of Business Administration, Juris Doctor in Litigation Concentration and a Certificate in International Business and Comparative Law from Paris University One, in Paris, France, through University of San Diego School of Law. She successfully completed law school in an accelerated two year law program, was on the Dean's List, Moot Court semi-finalist, on the Mock Trial Board, Women's Law Alliance and Phi Alpha Delta. She is a member of District of Columbia Bar and State Bar of Nevada Business Law, Family Law, Probate and Trust sections and State Bar of Nevada. In addition to Attorney Kazel's legal expertise, she has been a successful member of corporate America for many years and has a solid business background. Her business experience includes; successfully managing two international companies where she had the responsibility of increasing productivity and profitability for such enterprises. She was involved in restructuring one of the companies resulting in increased efficiency and profitability. Her Interests: - Wendy Kazel loves to travel, and she has traveled all over the world for both business and pleasure. She is single and enjoys her time with her beloved Italian Greyhound, Dior. Some of Ms. Kazel’s hobbies include; gourmet cooking, horseback riding, domestic and international travel, rock climbing, skiing, Bikram yoga, and photography. She is passionate about Porsches. 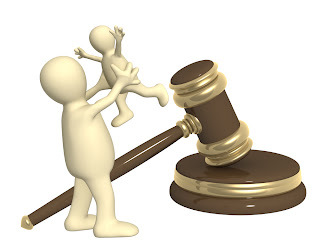 All legal issues that are connected with the family come under Family Law. For example, child support, divorce, child custody, alimony, spousal support, adoption, guardianship and domestic violence between couples, etc. Dealing with Family Law issues is a sensitive and difficult time for most clients and you need a lawyer than can help you through these difficult times giving you the proper advice and be the strong advocate you need. In these circumstances, guidance from a lawyer who makes you feel at ease is the most crucial part. You need quality legal service along with reliability and attention to every detail of your case. An experienced and professional lawyer named, ‘Wendy Kazel, M.B.A, J.D’ provides services for Family Law. She runs her own law office in Las Vegas, Nevada. Wendy Kazel is a skilled divorce attorney that helps you to first negotiate child custody and visitation, a fair divorce and spousal support in a uncontested manner and when that fails she is a strong advocate in the litigation of your case. In your moments of crises, she stands at your side and protects your rights and interests. In family law, the categories include Divorce, Paternity, Guardianship, Domestic Partnership Agreements, Child Support, Child Custody, Asset Division and Spousal Support/Alimony, etc. Ms. Kazel helps guide her clients through this process from start to finish. She provides the guidance and support you need to make this process as easy as possible. Wendy Kazel aims in resolving your case efficiently and quickly. Family matters are full of emotions, but in that situation, she remains relaxed and cool as she is a strong legal advocate for her client. She manages all types of issues from a simple uncontested divorce to complex, highly litigated, divorce and custody cases. So, if you want to overcome the discouragements of the past and want to move forward with life in a positive manner, then discussing your issues with Wendy Kazel’s Law Office is the right decision for you and the first step in your new future.